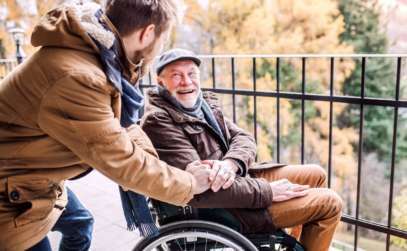 As you age or develop medical issues, you may need to consider the option of finding a home care provider to allow you or your loved one to stay at home safely. In today’s market there are a number of private care options, however there are many elements you will need to consider in order to find the right home care service. Finding the right home care company and caregiver is critical! We have put together a checklist below to ensure that you and your family make an informed decision. Use the following checklist to help you choose the right home care agency for your loved one. Does the home care company have a website and /or brochures that clearly outline their services? Understanding what services, a company can provide is very important. When reviewing the offerings be sure that it clear and transparent. You want to ensure that the one you choose doesn’t over promise and under deliver. How much experience and knowledge do the owners of the company have? Many home care companies / operators enter the market with little to no experience in working with seniors or their families, not to mention passion for this population. With the demographics showing a growth in demand ask the questions of why the owners or operators are in the home care industry and what makes them equipped to care for you or your loved ones. Every home care company has a different assessment process to create a care plan. Some are far better than others. Ensure that the company you choose has free comprehensive assessment that they will complete in your home. Vytality at Home completes the most comprehensive home care assessments in the Calgary market, and may include all of the following formalized screenings: MMSE, MoCA, Lawton IADL,PHQ-9, ZBI-12a, Quality of Life screen and the proprietary MBI-C. These objective tools measure your mood, memory, function, and medical conditions. Additionally, a home assessment should also include a home environmental evaluation to look at strategies so you can remain safe at home. A comprehensive assessment will ensure that all your needs are met. What range of senior home care services do they offer? Some home care companies provide non-medical care and some provide a full range of medical care services. It is important to understand what your needs are, what you want to access from private pay home care and which services you can access through AHS. What additional services can the home care company deploy to keep me safe at home? Navigating the system and finding out what services you would benefit from can be costly and time consuming. Having a great home care provider that has community linkages and partnerships to create a holistic approach to aging in place will be of great benefit to you and your family. Ask them about their ability to coordinate services above and beyond your home care needs. This could include services such as; Physiotherapists, Occupational Health, Massage Therapists, Pharmacists, Home Oxygen services and Medical Supplies. 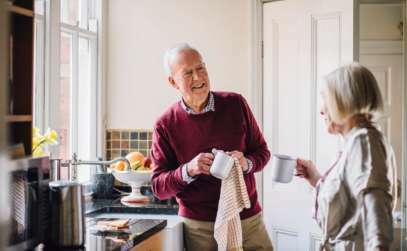 Having these additional services allows for all the clients care needs to be met, which allows for a client’s continued independence in their home. Will the home care provider tailor their services or caregivers to my preferences (e.g. language, gender or cultural preferences)? Having home care aids and Home care nurses that have both wide cultural and language flexibility allows for a truly customized experience, which then allows for a solid relationship to be built by the client and the caregiver. How does the homecare company ensure that there is consistency in caregivers? It is known that most home care companies struggle to ensure that the caregiver who provides yours or your loved one’s care is consistent. Vytality at Home’s app allows you the ability to choose your caregiver for any specific shift. If your care needs are flexible, you can choose to have the same caregiver come to see you whenever care is required. Are the caregivers bonded and have they had Vulnerable Sector Screens and Background checks? Allowing someone in your home to help you in any capacity requires a high degree of trust. Knowing that the company has done their due diligence to screen, bond and background check all of their employees should be a requirement. How open to communication and feedback is the home care provider? You want to be able to communicate with every level of the home care company and know that they are open and willing to allow for full transparency. Ask them if you are able to communicate with the owners, the manager and the care team that are coming in to provide care. It is not common to allow for direct communication at all levels, however Vytality at Home Calgary, has developed a propriety app that allows for direct communication with caregiver via text or video while onsite. It also requests a rating following every home care visit, leading the way in fully transparent care. Asking these questions and knowing what you are looking for will help you make the right decision on who you choose as your home care provider. Knowing why someone is in the home care sector and what their training, background and credentials are to run a home care agency and to manage a team is very important in determining their companies’ abilities to deliver on your needs.